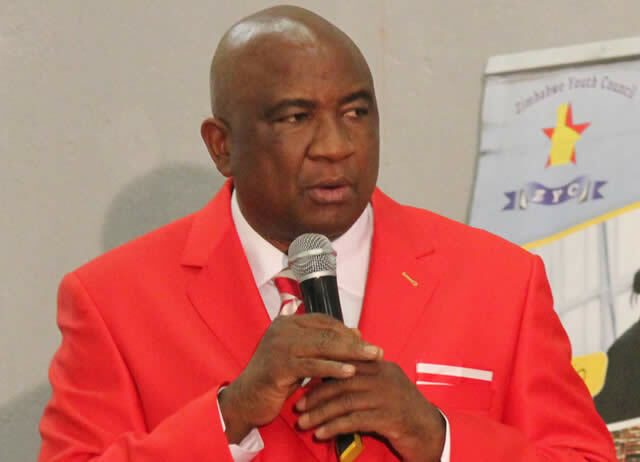 TEN of Zifa's councillors yesterday reaffirmed their support for the football mother body's president, Philip Chiyangwa, who is set to controversially bounce back for a second term in office, as he is unchallenged for the December 1 elections. All the provincial chairpersons came together yesterday to honour Chiyangwa, his deputy Omega Sibanda and executive committee member Philemon Machana, whom they described as heroes. Of the 10 provincial chairpersons, eight retained their posts, while two are newcomers. Chiyangwa, Sibanda and Machana were all presented with shields by the provincial leaders, who said they were happy to see them continue to lead the game. Machana will have to contest for his position as he has been challenged. Six candidates are vying for four executive committee positions that are still up for grabs. Mashonaland West Zifa chairperson Derick Matapure, who spoke on behalf of the councillors, said Chiyangwa and his team had achieved a lot since they took over in 2015. "These three have done a lot for football in this country. They have achieved a lot in the short space of time. Right now, our president holds a number of positions on the continent and this shows how good he has been as a leader," Matapure said. "A lot was done during the last three years. Valinhos (former Warriors coach)'s debt was paid off, the Mighty Warriors qualified for the Olympics and African Women's Championships, while the Warriors won two Cosafa Cups and, more importantly, qualified for the 2017 Afcon [Africa Cup of Nations] finals in Gabon. "So having looked at all this and considering that some jumped off the ship and these three soldiered on, we thought we needed to honour them because we are coming from the grassroots and we have seen how they have changed the face of football." Chiyangwa said he felt humbled by the gesture and vote of confidence, as he prepares to kickstart a fresh term in office. "I want to thank the provincial chairpersons. I would not have imagined them coming up with something like this. I have a lot of positions now in football, but I am most grateful to my councillors here, who have given me the platform," he said. "We have achieved a lot and among other things, we removed Issa Hayatou, who had held on to power as Caf president for 29 years. The national teams have been qualifying for major tournaments and so we have nothing to prove now; we just want to continue and make our football stronger." Felton Kamambo and Gift Banda, who had set themselves to contest Chiyangwa and Sibanda respectively, but were both disqualified, have been crying foul and the Zifa boss yesterday said the two were wasting their time. "All those who are making noise, they are wasting their time. They can make all the noise from outside. We are the ones who are inside and driving the game," Chiyangwa said.